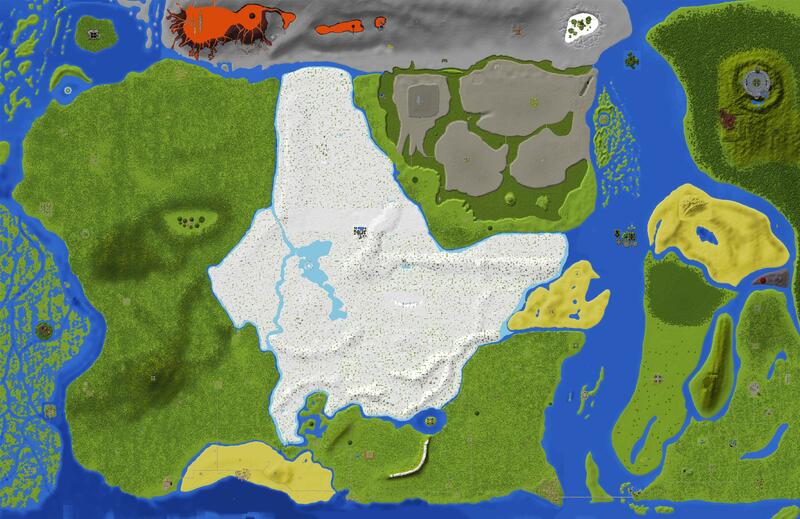 How big is the MineZ Map? And that means that the area of the map is 32,807,286 blocks (7146 x 4591). Minecraft is based off of the metric system. Therefore, 1 block = 1 cubic meter. 1,600 meters = 1 mile, so, 1,600 blocks = 1 mile. Looking at the MineZ map, walking from the farthest point West to the farthest point East would be 4.47 miles. Walking from the farthest point South to the farthest point North would be 2.87 miles. To put this in perspective, a straight shot from Grimdale to Portsmouth would equal out to about 1 mile of walking. MineZ is set around 1000 years after the events of MineZ 2 (a garaged gamemode). You can still find the Ruins of old MineZ 2 locations hidden on the map, such as Asindia under Archaeological Dig Site, Helia under Shrine of the Dusk and Camp Chime within the Chime Caverns. LegendaryAlex, eks__dee, Lethalmower and 15 others like this.